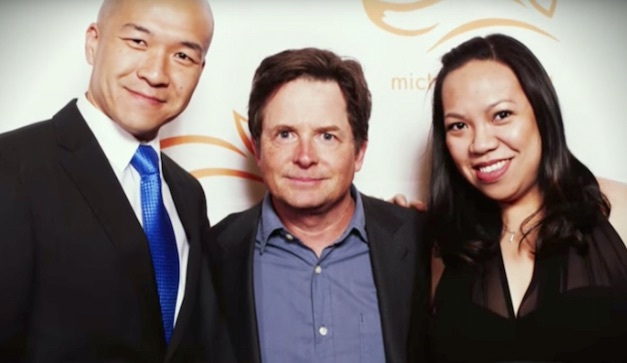 The actor Michael J Fox has hailed Parkinson’s campaigner and fundraiser Jimmy Choi as an “inspiration” to his family and people with Parkinson’s everywhere. In an emotional video clip, aired ahead of Jimmy’s appearance on the American television show ‘American Ninja Warrior’, Fox encouraged the athlete, who has raised over £100,000 for the Michael J Fox Foundation. The ‘Back to the Future’ star told him: “Team Fox has known for years that you’ve got the heart of a warrior, now you’re going to show the world. 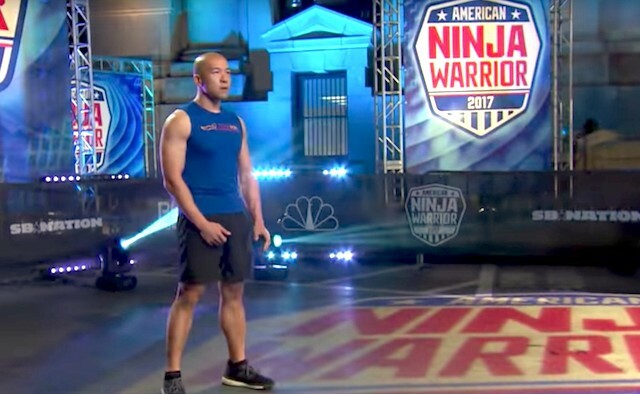 As he entered the packed arena ready to take on the show’s assault course, athlete Jimmy Choi played his own video, highlighting his personal battle with Parkinson’s. The 41-year-old explained how he initially struggled with his diagnosis of young-onset Parkinson’s at the age of 27, and suffered from depression. He has since gone on to complete multiple triathlons and bike rides on behalf of Parkinson’s charities, and had words of encouragement for others in the same position. “My goal is to go out there and show everybody, no matter what they’re faced with, the hardest step is that first step,” he said. Jimmy’s performance, which was part of the ‘American Ninja’ Kansas City qualifiers, touched a chord with viewers, who took to Twitter to heap praise on the Parkinson’s campaigner. ‘American Ninja Warrior’ host Akbar Gbajabiamila, praised Jimmy for being a “true champion”. Mrydin Thompson felt pride as she watched Jimmy take on the course. Celina Barajas shared photos of dozens of fans, meeting up to cheer Jimmy on. Tim Shank hailed the Parkinson’s advocate as a “true warrior”.